Updating your kitchen by refacing your kitchen cabinets can increase the value of your home. Smaller projects such as adding new wall art, a coat of paint on the walls, under cabinet lights, and upgrading the kitchen lights, can enhance your style of the kitchen as well as the value. There are many other small tasks and elements to create a new and more upscale kitchen, one element being the crown molding. Attached to the tops of upper cabinets, crown moldings are architectural components that pull your eyes upward to create a visually larger kitchen. Some moldings will be flush against the ceiling and the upper cabinetry, while others merely finish the tops of the cabinets creating a space between them and the ceiling. Designs and profiles are carved into the crown moldings to add flair and upscale look to the kitchen. 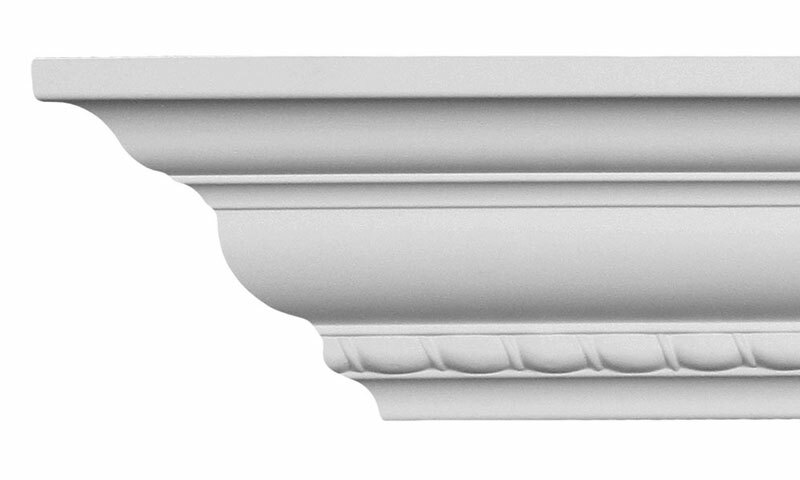 Crown moldings are not a new architectural feature as they originated from the Ancient Greeks over 2,500 years ago. They have survived and continued to liven up a room with a bit of style, color, and detail with the rules of profiles and proportions still being used in their designs. In the time of the Ancient Greeks, they utilized stone for their carved designs. This didn’t change until the 18th century when American craftsmen found wood and plaster to be lighter and easier materials to use. These are now considered the traditional materials for today’s moldings. The materials used for crown molding today has further expanded to include foam, polyurethane, and many others. Some of the materials only need glue to be attached to the wall or cabinets. Not only has the materials changed over the thousands of years, but also where the moldings are used. With the help of mass production, crown moldings are no longer restricted to higher priced homes decades ago, but now can be seen in also every building and home. Wood can be easily milled into crisp and clean designs, whether the design is simplistic or intricate. It is one of the reasons it is a very popular material for crown moldings. At Cabinet Cures, we offer a wide selection of wood species, grains, and soft- and hardwood crown moldings of the finest quality. Add to your molding by picking the size and the design from the assortment of options to fit your kitchen style. Upgrade your refaced cabinetry with crown molding made to match your lacquered, stained, or painted cabinets with the same wood species as your doors. Cabinet Cures highly recommends adding crown molding to your cabinets to increase your kitchen’s value and upgrade the look. All the crown moldings are made in the Pacific Northwest. Once you have chosen your wood species, grain, and paint, lacquer, or stain, the last decision to make is how the crown molding is going to look. There are many styles and designs to choose from and here are a few to get you started. 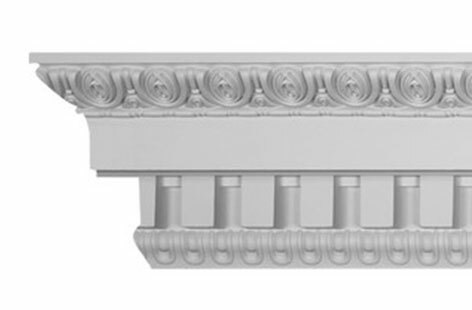 This slightly masculine style of crown molding uses a combination of architecture and art in its rows of notches blocks. With simulated depth and dimension, this style from the 18th-century Beaux-Arts movement can bring a unique flair to your kitchen. If you are looking for a style that draws its inspiration for ancient history, then the Egg & Dart is a good choice. This style, also known as the egg-and-tongue, is traced back into Ancient Greek’s architecture, noted and found at the temple in Athens called Erechtheion. The popular alternating egg-shape and arrow or dart elements demonstrate the achievements in the Ancient Greek’s architectures. This is a popular choice for kitchen cabinets due to is very clean and simple design. The crown molding only has two elements to this pattern, an elongated “S” shape and a bead that sits below. 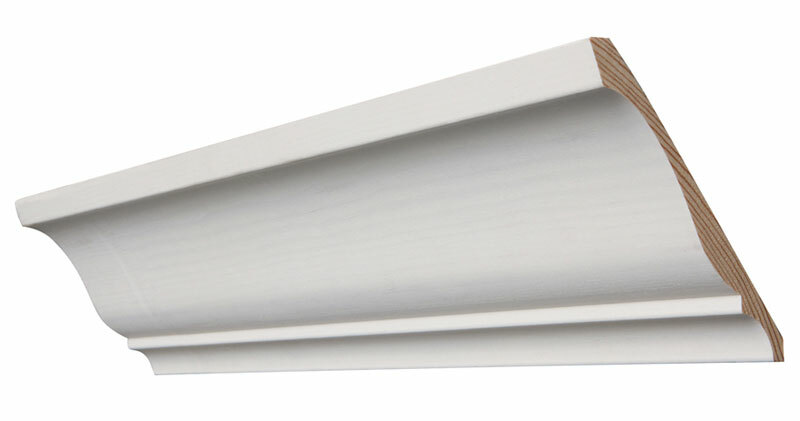 This crown molding draws inspiration from the Art Deco era. The geometric patterns can have complex designs of angular shapes or simple and clean lines. The Rope Border is greatly ornamented crown molding designed with the small bead or rope elements. 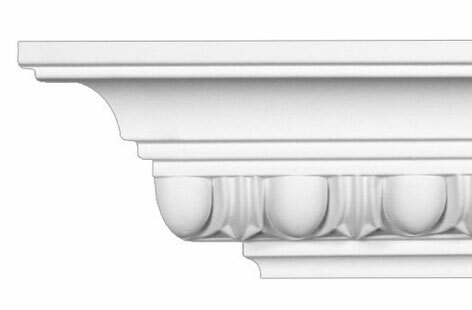 It is a traditional and European style that is often crafted in two parts with the bead or rope elements manufactured separately and later attached to a cut in the crown molding. Adding glazes or stains to these moldings will enhance the ornamental style as well as the look of your cabinets. 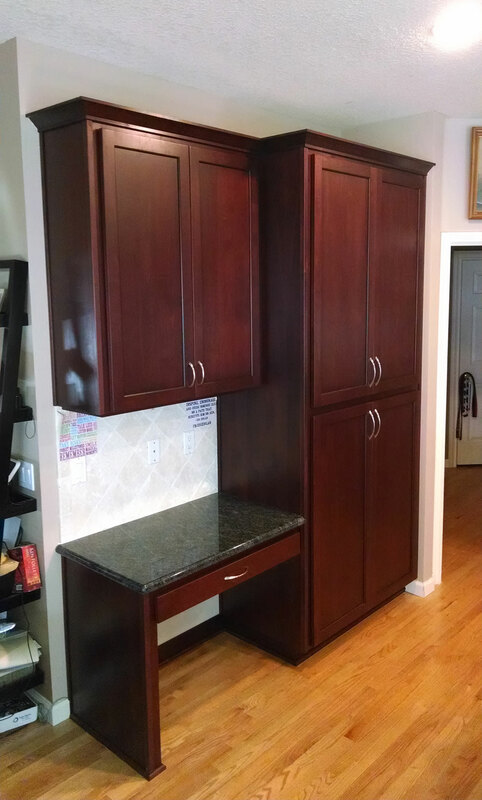 Looking To Reface Cabinet Doors?